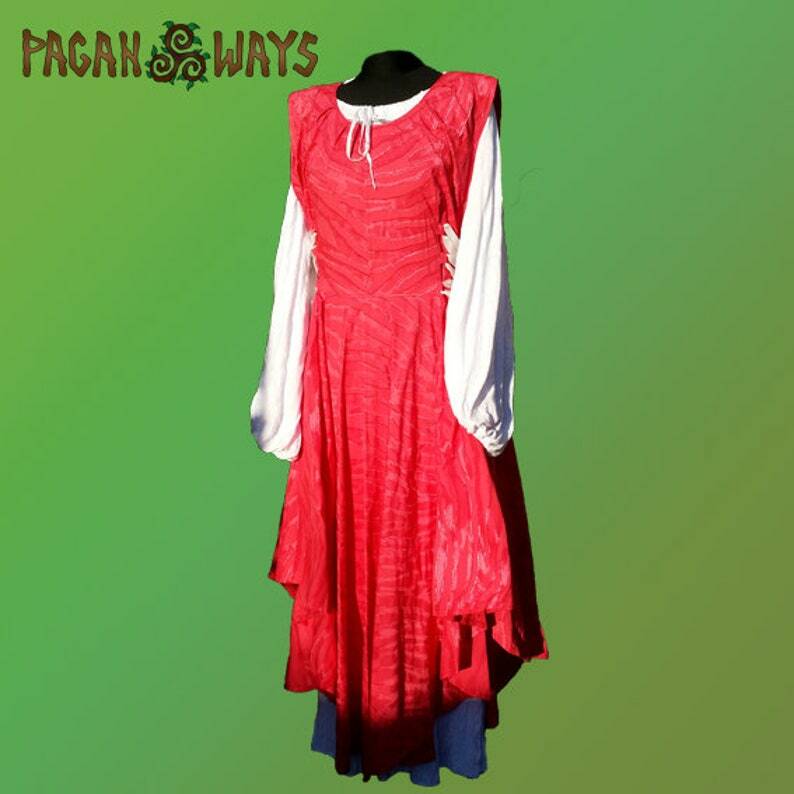 Handmade and unique dark pink / red and white fantasy dress with white ribbon made by Pagan Ways. 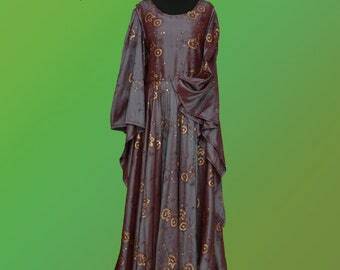 This dress is inspired by Celtic mythology, Avalon and Morgaine. 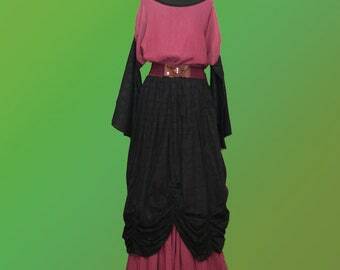 It consist of two separate dresses.